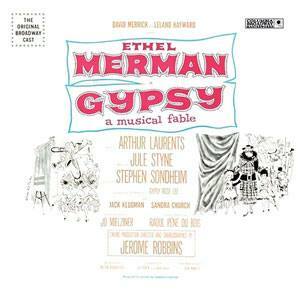 “You’ll Never Get Away From Me” is from the 1959 Broadway musical Gypsy, starring Ethel Merman as Mama Rose. Gypsy is certainly one of the greatest musicals in history and Merman’s performance is legendary. “You’ll Never Get Away From Me” is sung to Mama Rose by her lover Herbie, played by Jack Klugman in the original production. You’ll Never Get Away From Me was recorded on March 23, 1959 and released first as a single in that year. The first release of this song on an album was in 1962 on the album Mr. Broadway: Tony’s Greatest Broadway Hits. It was arranged by Ralph Sharon.